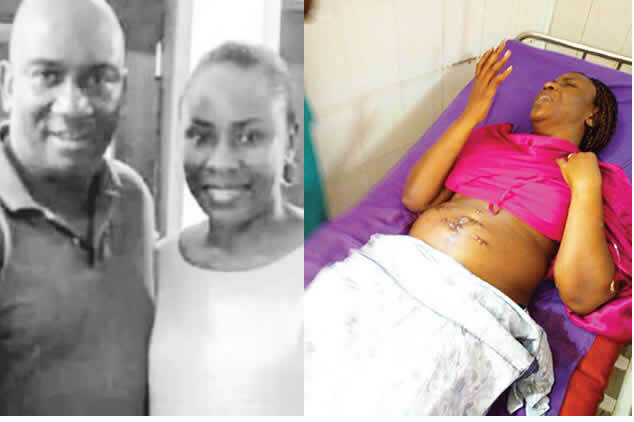 An Assistant Superintendent of Police, Olusegun Bamidele, on Wednesday, told a Lagos State High Court in Igbosere that a lawyer, Udeme Otike-Odibi, who was accused of killing her husband, had confessed to the crime. 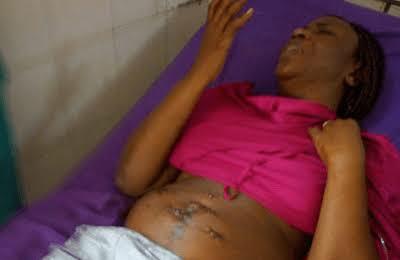 The Punch had reported that Udeme was also alleged to have mutilated the corpse of her husband after killing him. The offences were said to contravene sections 165 (b) and 223 of the Criminal Law of Lagos State, 2015. At Wednesday’s proceedings, Bamidele, the final prosecution witness, while being led in evidence by the Lagos State Director of Public Prosecutions, Titilayo Shitta-Bay, said he was the head of the team that investigated the killing and that he personally recorded the defendant’s statement. He noted that the second time he met Udeme, she was in protective custody at a police hospital in Ikeja after she had been moved from the Safeway Hospital in Lekki, adding that it was during an interactive session at the hospital that Udeme wrote a detailed confessional statement. He said the defendant was recuperating from what one of the doctors attending to her described as “superficial and self-inflicted wounds,” adding that she spoke freely after identifying herself as a lawyer. Bamidele stated, “While she was writing her statement, it was an interactive session. I put questions to her; she would explain the answers to me and put them down in writing. She stated in her statement that she was married to the late Symphorosa and that they had marital issues. “She stated that the deceased was having extramarital affairs and that whenever she raised the issue with him, his responses were not satisfactory and he appeared nonchalant. She also said in the statement that on May 2, 2018, when she was preparing to travel to the United Kingdom, she checked the bedside locker for her marriage certificate but she could not find it and when she went to the deceased on the bed and asked him about it, there was no response. Shitta-Bay also tendered through Bamidele several exhibits recovered from the defendant. The exhibits included a big shiny frying pan allegedly used by the defendant on the deceased; a blood-covered kitchen knife allegedly used in killing Symphorosa; a bloodstained pen; four phones, two of which were bloodstained; and Udeme’s Nigerian and British passports. When Shitta-Bay sought to tender the two statements allegedly made to the police by Udeme, her counsel, Olusegun Banjoko, opposed her. Banjoko, after showing the statements to his client, prayed the court not to admit them, on the grounds that they were made without her lawyer being present as required by law. Justice Akintoye adjourned the matter till February 25 to consider the admissibility of the statements in a trial within trial.